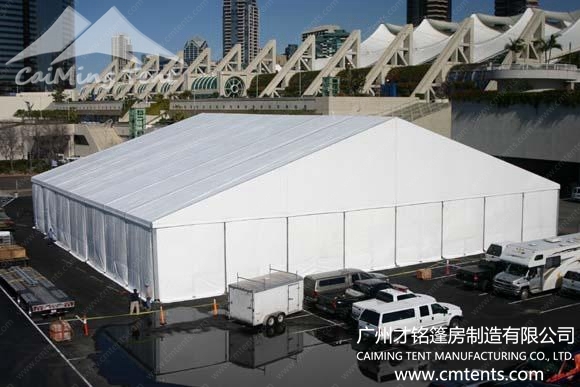 Characteristic one : According to you need,the size you could choose freely.the clear span width of 3m/4m/5m/6m/8m/9m/10m/12m/15m/18m/20m/21m/25m/30m ,and the Maximun tent length is no limited. 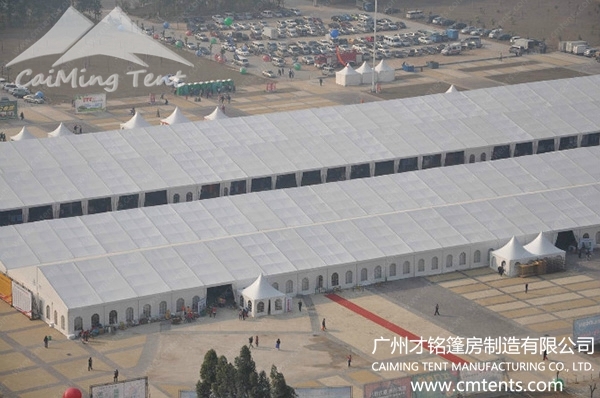 Characteristic two:The framework material used High reinforced aluminium 6061/T6, Sizes of cross section of main profile:81x46x2.5mm, 121x68x3mm,168x89x4mm,203x110x4mm,256x121x4.5mm. 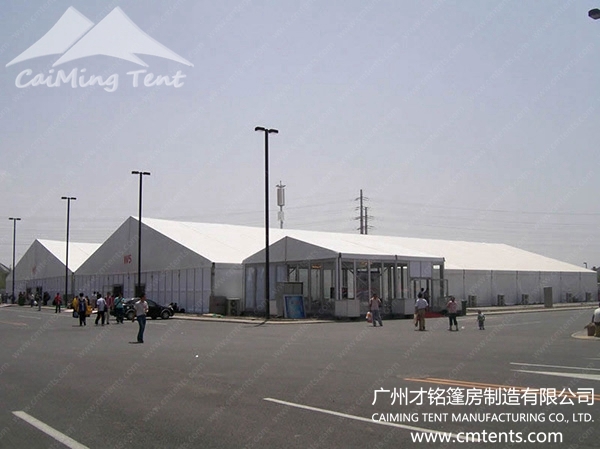 Characteristic three: 100%high tenacity polyester textiles with double side PVC or transparent PVC coating cover . 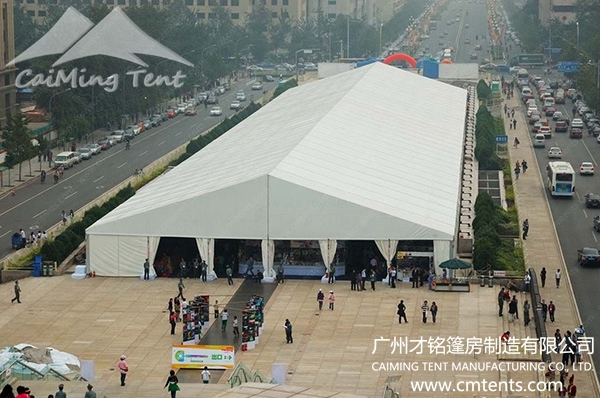 Roof fabric is 850g/sqm; Side wall fabric, Sun shading are 650g/sqm. Characteristic five：Max.wind loading reachable for 80km/Hour, don’t worry about the wind blown over. 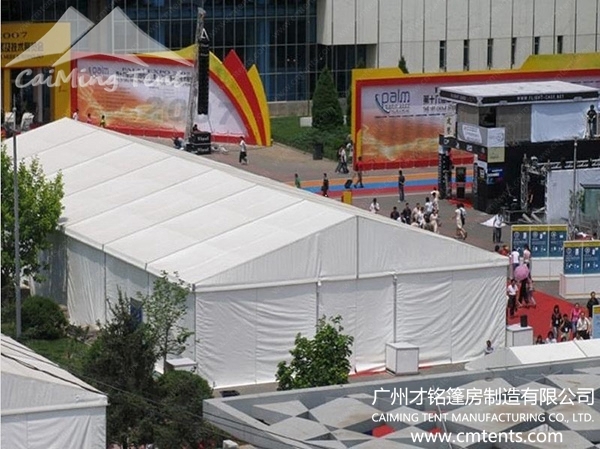 Characteristic six： Waterproof, anti-UV radiation, flame retardant according to DIN 4201,B1/M2. 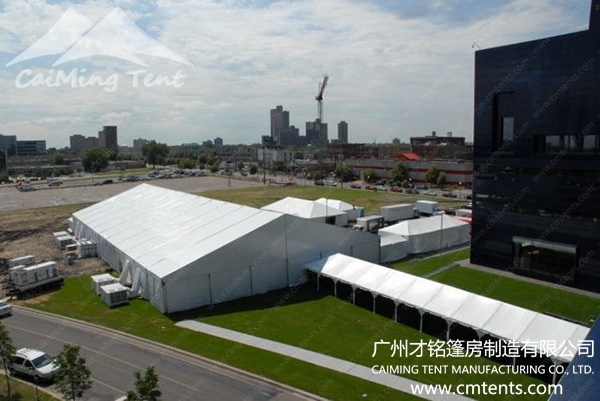 Characteristic seven:The tent can be widely used for outdoor exhibition, sports event,party,trade show,trade fair,celebration, outdoor wedding,festival,advertising, temporary workshop and warehouse. 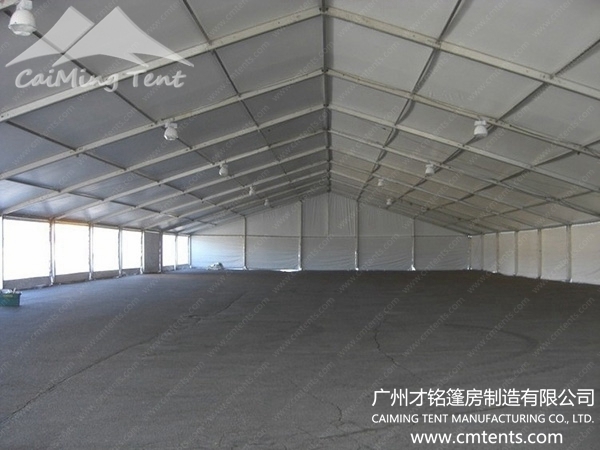 Characteristic eight：Optional accessories：Wooden floor、Glass wall、Glass door、Ground anchors、Weight plate、Sidewalls with pvc-clear window、Rain gutters、Decoration ceilings and inside curtain. Characteristic nine：Our company certificate have the Product registration certificate、China-Asean Expo 、ARA、China Association Of Exhibition,etc. 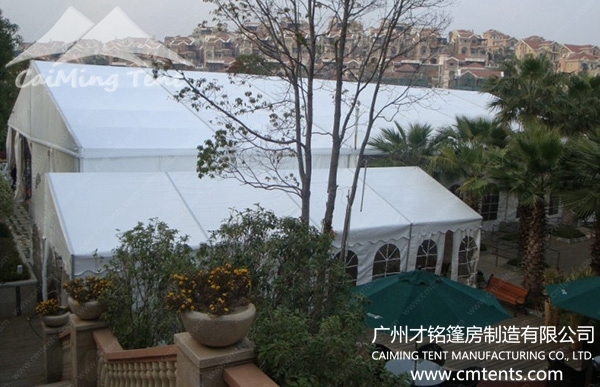 Characteristic ten：Packaging Detail: 1.Aluminium frame packed in membrane film. 2.Hardware packed in carton. 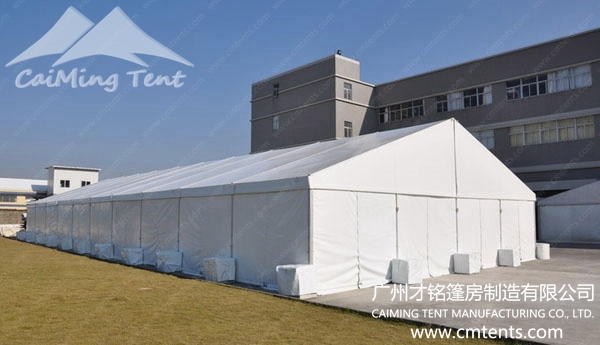 3.Roof and sidewall packed in professional PVC carry bag.